I did not save it, but all the early research info on the ARPAnet was digitally archived. It came to light when one of the old programmer & researcher from SRI wrote an article on “unsung hero of the InterNet”, for PC WORLD magazine. Some one who I was working with came into work with the article and started asking me about it and my role in this event. Then the gig was up ! ! ! 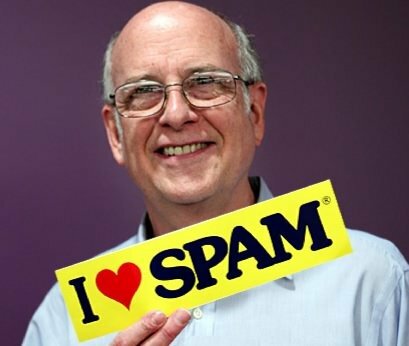 I have not been successful in reaching any of the recipients of that first e-spam, except Vint Cerf (co-inventor of the Internet), but I have talked to may who had heard about it. Here is the very first Spam message ever sent, below.